Currently we offer two comprehensive exam-revision courses for the FRACP exam. This online learning resource will help you prepare for your FRACP Paediatric Written Exam. It contains more than 30 training videos and more than 1700 past exam questions along with full answer explanations. You will be able to track your progress, view your own performance stats, compare your achievements with those of other subscribers, and also have access to our app for Android or iOS to use the learning resources offline. This online learning resource will help you prepare for your FRACP Paediatric Clinical Exam. It contains a series of short cases, just like the ones you will have in your actual exam. You will be able to work through each case step-by-step, with an explanation of what you should do and how you should do it. In addition, there are many flashcards which summarise key information to help with you revision of systems examinations. This gives you full online access to both courses for a single annual subscription, and you save $150. Combing the two revision courses this way is cost-effective. You'll be able to use all the learning resources of both the FRACP Paediatric Written Exam Course and the FRACP Paediatric Clinical Course any time you want. 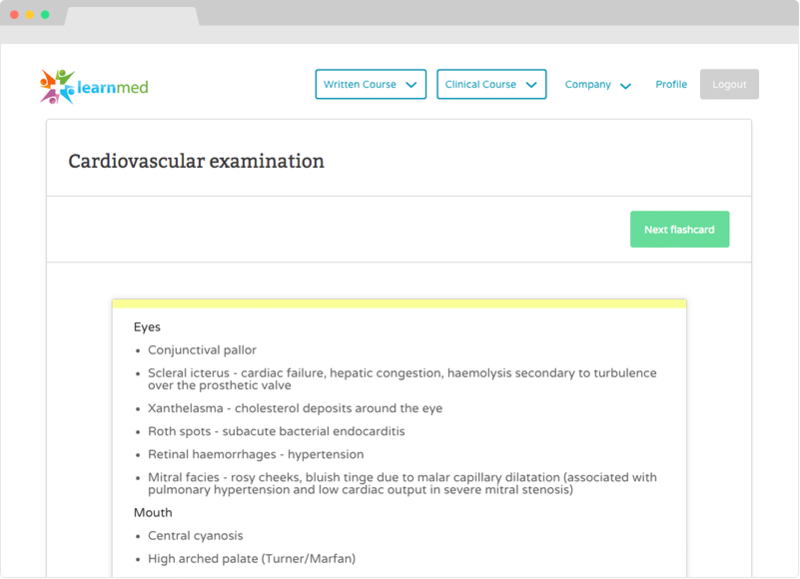 learnmed® is an online, medical training company that provides high-quality, focused, exam-revision resources for paediatric trainees sitting the FRACP Written and Clinical exams. 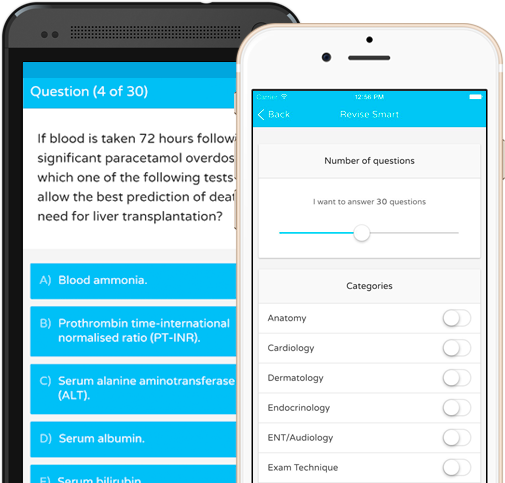 FRACP Written Exam Revision Course - training videos, a question bank of past FRACP paediatric exams, full answer explanations, the ability to track your answer performance, use of our Android and iOS app. FRACP Clinical Exam Revision Course - complete short cases, just like those in your exam, reader-friendly summaries of patient examination methodology, flashcards to help practice and recall. In addition to medical education, we are committed to improving health education and Closing the Gap. learnmed® gives financial support to organisations and projects that improve health services for Aboriginal communities. You have finished all the trial questions. 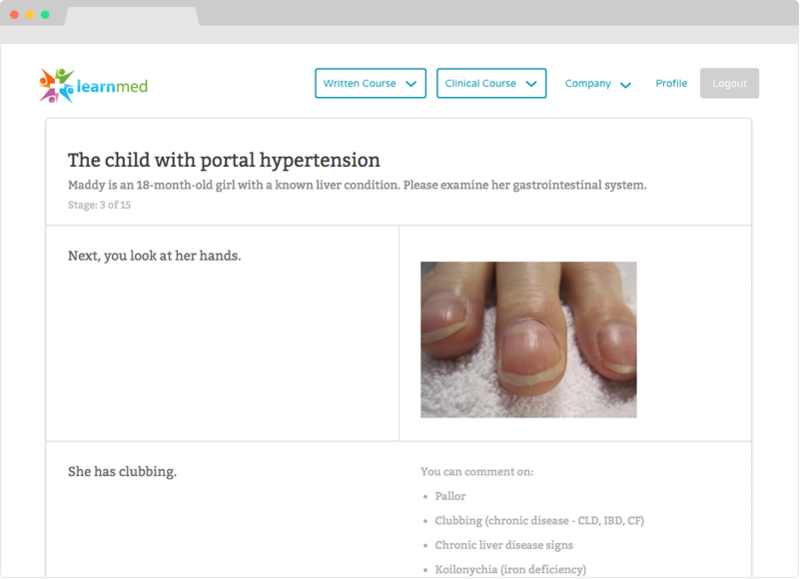 Learnmed Ltd is a company registered in the United Kingdom with company number SC520063.